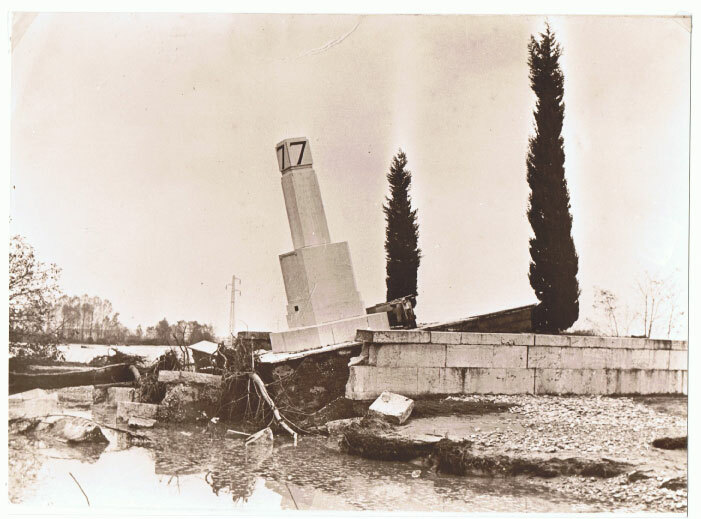 The new photo reportage we're sharing today comes from the local World War I Museum of Maserada sul Piave, basically the organization from where this WWI bridge and this web project start. 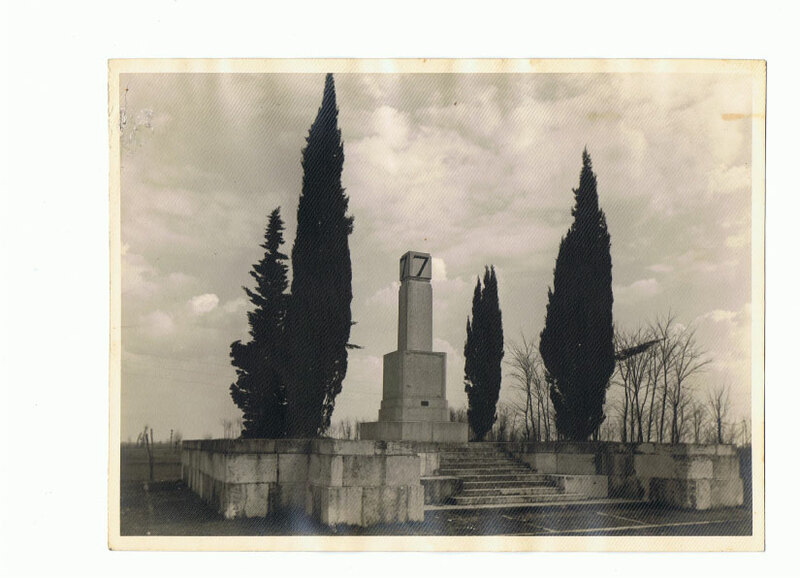 We thank the president, Mr. Giuliano Bottani, for having gathered the photos after long and accurate researches. 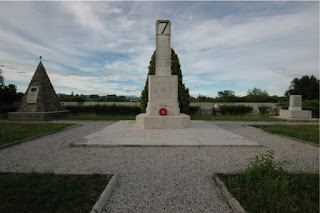 If you're travelling in the area surrounding the city of Treviso, you may schedule a quick stop in Salettuol, a former fisher village next to the municipality of Maserada sul Piave. Beside a red concrete square always open to the public (where you can also park) just opposite to the bank of the Piave called "Wall of Salettuol" (a large concrete bank built in recent years to protect the village from the heavy floods occurred during the last seven centuries) you can stop in front of the three monuments representing the final operations of the Great War. 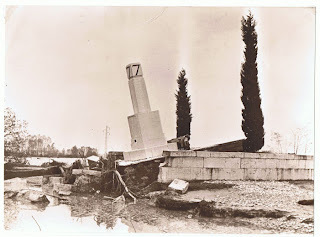 The monuments are in good condition, and were repositioned in the same place where they had been uprooted during the floods of November 1966 (see picture). The gem of this "Garden of Remembrance" is for sure the central memorial dedicated to the British 7th Division, the protagonist of the river crossing in October 1918 across the Papadopoli Island, a key-operation that eventually turns into the beginning of the end of the war in the eastern front (the "Battle of Vittorio Veneto", also remembered as "Third Piave Battle"). 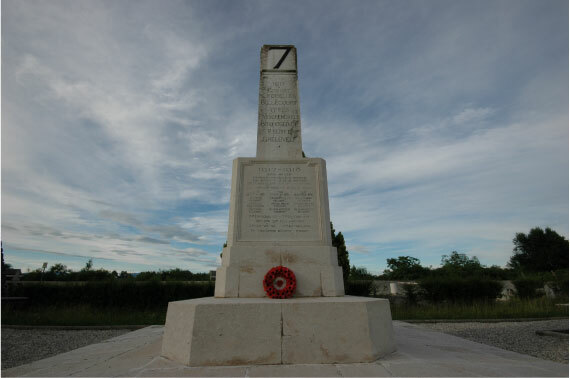 As far as we know, this is the only WWI memorial dedicated to the British contingent you can find in Italy. A four-sided stele placed on three rectangular marble blocks rises towards a often cloudless sky with its cut off top to represent the massacre of young men. 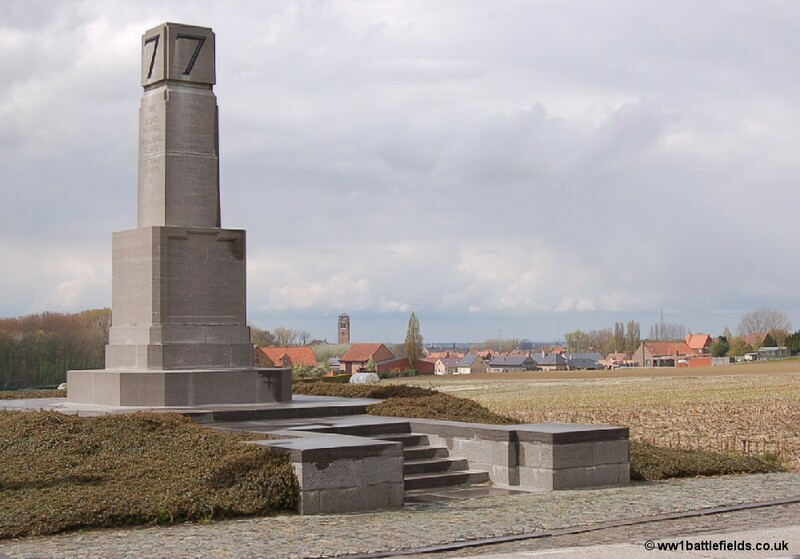 In the front side they carved the names of the units that were part of the 7th Division and, on the higher level, the names of the European battlefields where they had fought. 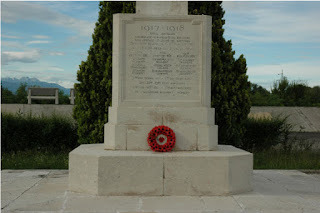 All these names evoke tragic places and losses of the 20th century. The British monument was designed by the architect Harold Gibbons and erected by the British Government in 1924 (see picture of the inauguration). 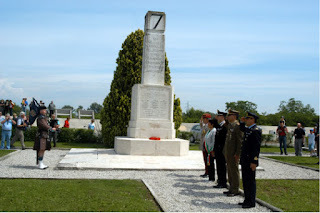 It was lately surrounded by other two memorials dedicated to Italian soldiers. All the war memorials were rebuilt after the devastating Piave flood of November 1966 and, only a few years ago, in June 2008, they became the background of an unprecedented commemoration with members of the London Scottish Regiment and their Pipes and Drums. 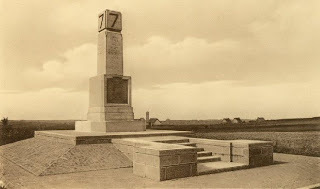 The main memorial dedicated to the 7th British Division assembles more than one meaning: the tragedies of war, civil rituals of collective memory, natural disasters. 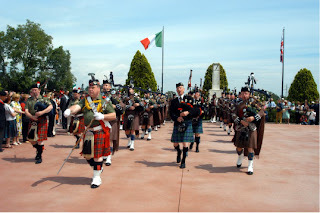 This is an area of ​​outstanding yet ignored natural beauty, close to the protected areas of "Natura 2000" and to the oasis called “Il codibugnolo” with its charming dry lawns and the ever changing river woods. If you pass by in summer and if you keep a bathing suit in your car you might also think of jumping into the river (pay attention to the slippery pebbles). Because of its configuration and location close to the "sacred river", the British 7th Division memorial reflects in its architecture and in the singularity of the place the ancient and timeless connection of men of all countries, nature and historical memory. 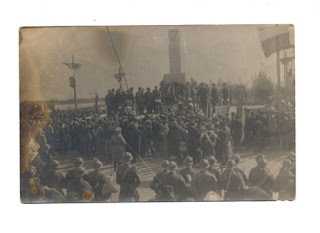 Below is the sequence of images: the inauguration of 1924, the aspect of the "Garden of Remembrance" before the 1966 Piave flood, the aspect immediately after the flood, and the final images represent the present aspect. This is also the best place to show a twin of this memorial located in the Flanders battlefields, architecture wise. 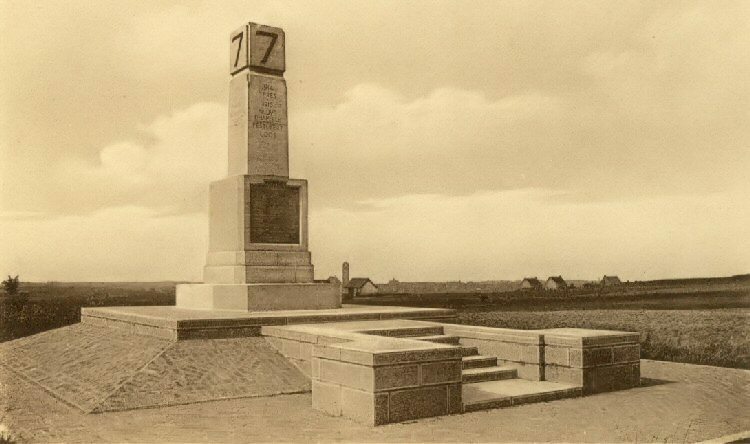 In this case you find a couple of images, the first as you could see it in the past and the second showing the present situation (for the recent picture courtesy of ww1battlefields.co.uk).